How to Interview the Interview... - Need a New Gig? If you have been on the hunt for a new job I am sure that you have had a few interviews that didn’t pan out as well as you had hoped. Let’s face it, interviewing is a two way street. While you are trying to sell yourself as the best candidate for the job, you are also trying to decide if the company and opportunity are the right fit for you. 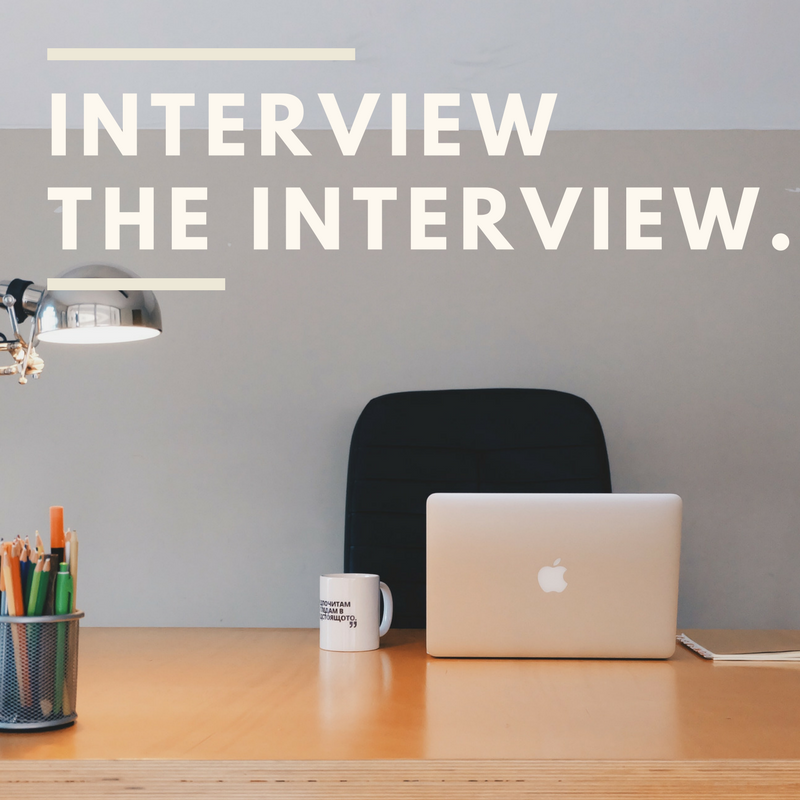 Use these tips to make sure that you interview your next interview! First and foremost you need to make a list of your expectations for your new position. I am not talking about job titles or responsibilities, but I am referring to the actual “fit” of the position. You will be spending a lot of your time at this new organization, so you want to make sure that you will be comfortable. Try and think about the things that you like about your current position and also the things that you would like to change. This could be anything from management style, to the office environment, all the way down to your commute. Don’t be afraid to take notes during your meeting! You have heard me say this before, but the key to a successful interview is research. Most candidates will study up on the company or the position that they are interviewing for, but it is also important to dig in and look at some other areas. Do some homework on the employees and the culture. See if they have any social media pages where they may post company news or recent events. This will give you a good sense of what it feels like to be a part of their team. Another great option is to do a search on LinkedIn and see if you are connected to anyone that currently works there. If you are, reach out and see if they can provide additional details. If not, you can still review current employee’s background to get a feel for their experience. Finally, check out sites like Glassdoor and see what other people are saying. These sites tend to be user driven so try not to over analyze as every company is bound to have a negative review. While this may not technically be part of the interview process, it is definitely something you want to keep in the back of your mind. Take note of the commute time from door to door. If your interview isn’t during typical traffic hours, it may be worth your time to try the drive in traffic. You don’t want to take a position that you think is only 20 minutes away, but turns out to be over an hour with traffic! Communication starts as soon as you walk into the office for your interview. Pay attention to your interactions with everyone from the receptionist to the person conducting your interview. If you are meeting with the Hiring Manager or your potential future boss ask yourself if you think you would enjoy working for them. Do you think that you would get along with them? Do they seem like they have realistic expectations? Do they seem to enjoy what they are doing? These are all great questions for you to try and gauge their personality and communication style. You will also be able to gain a sense of the environment as soon as you walk into the office. In all honesty, you should have a gut feeling when you walk through the door if you feel like it is the right fit for you. Look around to get a sense of how the office is set up. Is it an active and loud workplace? Or is it more of a quiet and closed off workplace? Does it have more of a new school or classic feel? Does the company look organized or does it seem messy? Make some notes so you can review them post interview. During your interview be sure to keep an eye on current employees. Pay attention to their interactions with each other and if it seems like they enjoy what they are doing. If you have the opportunity to meet/interview with a current employee ask them what they like about the organization. Typically if employees look unhappy they are unhappy. What is a typical day like at this organization in this role? Does this group tend to work individually or more as a team? What is your on boarding process like for this position? Is there any training? How do you measure performance for this position? What is the typical schedule? Is there any flexibility? What is the future growth potential/career path for this position? How would you describe the environment and culture of this organization? Finally, be cognizant of the process itself. If it seems to move extremely slow, it could be a reflection of the organization. Maybe it is very difficult to get approvals to get things accomplished? If the company seems to move at a good speed and they follow up frequently with updates it may show signs of greater structure and stability. While it may seem like a lot to remember, it can really make a difference when it comes to finding that perfect job. Once you are finished with your interview, compare your notes against your expectations. It is rare that you will find an opportunity that will meet every expectation that you have. If majority of your expectations are met and the position is right for you then it may be time to make a change! This entry was posted in Uncategorized and tagged interview, interview questions, job interview, job seeker. Bookmark the permalink. ← Friday Forum – How to Reject a Job Interview?